SEP-IRA withdrawal rules are like traditional IRA regulations. Contributions to a SEP-IRA come directly from the employer. In fact, the company can put up to 25 percent of your salary into a SEP. 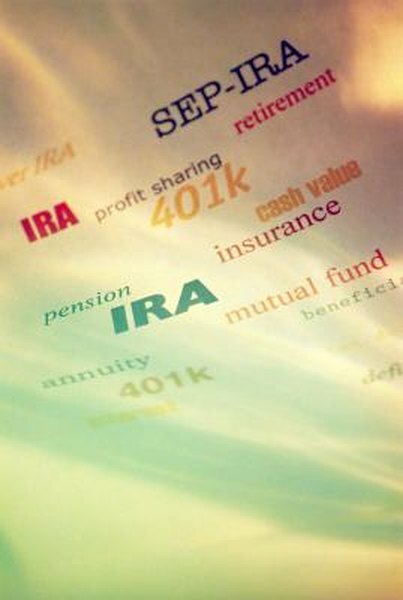 When it comes to withdrawals, however, the rules are identical to those of a traditional IRA. All withdrawals are subject to income tax. If you take money out before age 59 1/2, you pay a 10 percent penalty on top of the income tax. And at age 70 1/2, you must begin taking required minimum distributions. Contact the SEP-IRA trustee to inform him of your plans to make a withdrawal. You might have to download or pick up a distribution form to fill out. Tell the trustee how much you want to withdraw and in what form. You have the option of requesting the funds by check or having them transferred electronically to a personal checking or savings account. If you choose electronic transfer, provide the bank routing number, along with the transfer-to account number. To deliver a check by mail or courier, the trustee needs a valid address. If you have had to provide this information by filling out a form, sign and date it and submit it to the trustee. Check the mail or your online bank statement to confirm the transfer has been made. Such a transfer might take seven or more business days. When you receive a check, you must also account for delivery time. When you turn 70 1/2, required minimum distributions are calculated using figures from an IRS life-expectancy table. Typically, the SEP-IRA trustee will make the calculation and send you the RMD every year. What Happens if Your Employer Does Not Put Your HSA Savings on Your W2? How Can Retirement Accounts Be Converted to Nontaxable Accounts? Can a Profit-Sharing Plan Be Transferred to an IRA? How Do I Move SEP IRA Assets Into a Traditional IRA?